. Brow Shadow (or Eye Shadow): Pick one that is the same shade as your natural brow colour if you want to make them look bigger/fuller or a shade darker if you want to go bolder. 1. Bend the bristle end of the wand 45 degrees. This is optional but it definitely makes it more effective. 2. Hold the bristle end under running water then give it a tap against the edge of the sink to release any excess water. 3. Sweep the now-wet bristles back and forth over the brow shadow. 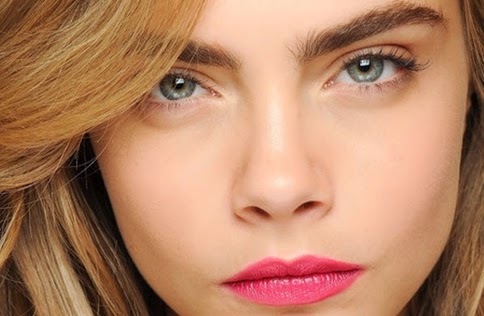 Start at the base of the brow and brush upwards. 4. Continue brushing by pulling the bristles through the hairs in an upward motion. 5. Dip the bristles back in the shadow if you need more then finish by brushing in the outward/downward motion of the wing.